Thank you all for the support! Pre-oreders went well and all shirts are a go for printing! Submitting the order this week. 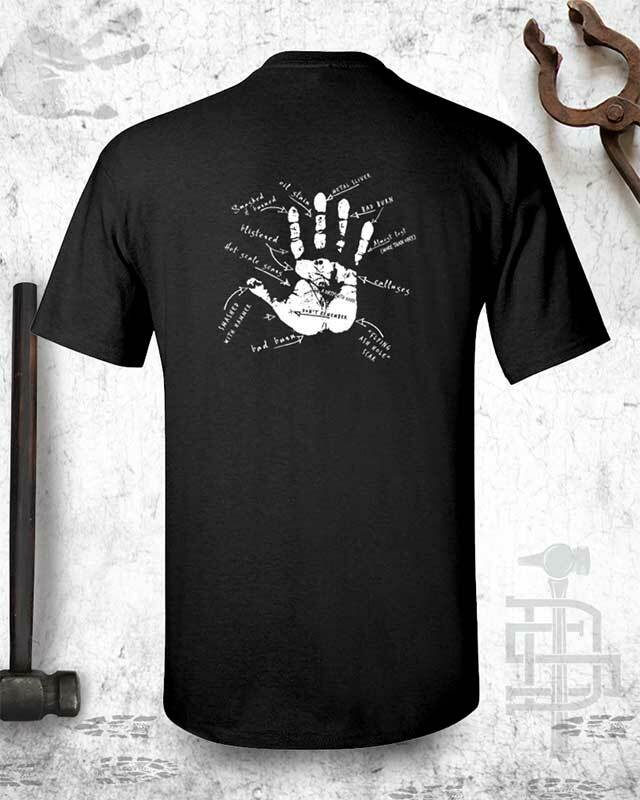 I will be updating the shipping time when the shirts arrive. 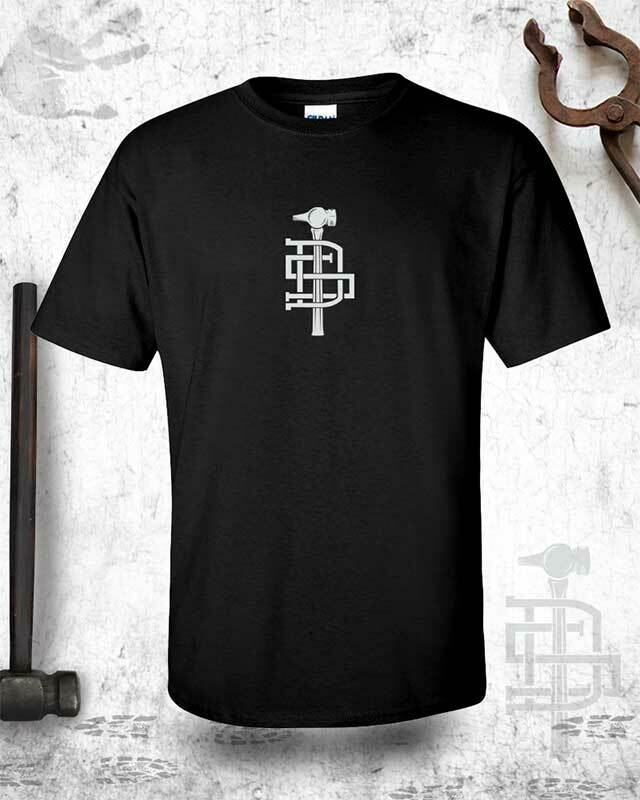 Links go to categories of more blacksmithing swag! Dirty Smith, aka Rory, is also available for demos, assisting in demos, lectures and various other public presentations. Contact me if you are interested in talkin’!